GOLDSMITH, JACK: Advertising Executive and Community Leader, On Friday, January 6, 2017; Some people dedicate their lives to the pursuit of making money. 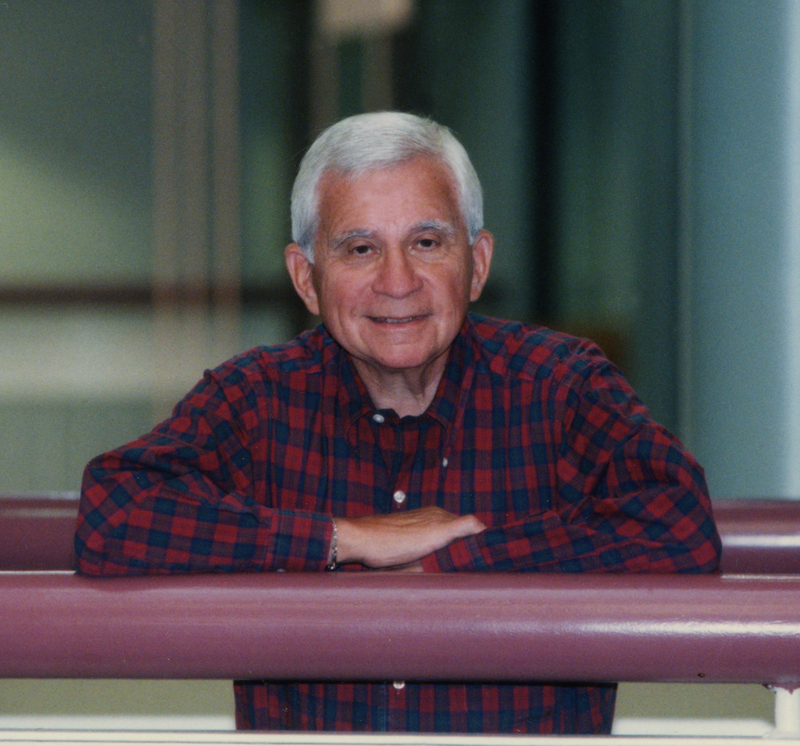 Jack Goldsmith dedicated his life to helping others achieve their dreams. Through mentorship, volunteerism and leadership, Mr. Goldsmith touched thousands of lives and made them better by his actions, advice and friendship. A fixture of the Pittsburgh business community for over 50 years and co-founder of MARC USA, the city's largest advertising agency, Mr. Goldsmith refused to give in to the cutthroat world of his profession and instead focused his boundless energy, creativity and humor on guiding his colleagues and clients towards positive growth and change. Born August 19, 1927, Mr. Goldsmith started from humble beginnings in the Turtle Creek region of Pittsburgh, spending his early childhood mixing it up with the local kids and learning quickly how to disarm people with charm instead of brawn. As a teenager, the Goldsmith family moved to the Squirrel Hill section of Pittsburgh where young Jack soon discovered a passion for basketball. Mr. Goldsmith excelled at the sport at a time when "a guy who stands five foot nothing on his tiptoes could earn a varsity letter," according to the Pittsburgh Ad Federation. Mr. Goldsmith even received a scholarship in basketball at Eastern Montana State, but later turned it down after military duty because he was able to go to the University of Pittsburgh on the GI Bill, graduating in 1950 with a Bachelor's Degree in English. Jack did two tours in the US Navy, serving both at the end of World War II on the USS Midway CVB 41 in the north Atlantic, and then recalled during the Korean War where he served at the Philadelphia Naval Yard until his ultimate discharge in 1952. After his Naval service, Jack worked at a small advertising agency in Pittsburgh until 1955 when he met and befriended another aspiring ad man, Lou Cardemone. The two would collaborate on a new kind of agency, one that integrated marketing, advertising, research and consulting. To celebrate, they took the first letter of each discipline to create the name MARC. MARC & Company opened its doors in 1955 with little more than the hopes and dreams of its founders. Its first clients were a car dealer association and a small chain of lumberyards named Busy Beaver. But those modest beginnings would soon give way to innovation that became marketing history. The mid-1950s was the dawn of the age of television and Mr. Goldsmith realized the effect this untried medium could have in turning one night's promotion into the next day's sales. An early MARC & Company's client was the Pittsburgh franchisee of a new hamburger concept called McDonald's. For 17 years, Mr. Goldsmith and Pittsburgh franchisee Jim Delligatti of McDonald's would partner to make advertising and fast food history. The Big Mac and McDonald's breakfast menu are lasting tributes to that partnership. Conceived in Pittsburgh, introduced in Pittsburgh and exported to the world. Other MARC & Company clients under Jack's leadership included Arby's, Cedar Point, The Limited, Kennywood Park, Kelly & Cohen, Elaine Powers, and countless others. "Jack led purely by example and he was quick to give credit to everyone in the agency besides himself," said Tony Bucci, chairman of MARC USA and one of Mr. Goldsmith's protégés for over 30 years. "He was a smart businessman and his gentle, engaging personality made clients and employees very comfortable. His style, humor and warmth were the reasons we were successful." "Jack was a marketing genius in the truest sense of the word," said Art Gunther, longtime friend and former CEO of Pizza Hut, who worked with Mr. Goldsmith at MARC & Company from 1966 to 1973 and later hired him as a consultant at Pizza Hut. "A genius doesn't make things complicated, a genius takes the complicated and makes it simple." In 1985, Mr. Goldsmith took his decades of marketing experience to a new set of clients, many of whom had worked with him at MARC & Company. His first consulting assignment was to help Pizza Hut evaluate and maximize its marketing efforts. He would also lend a steady hand and boundless energy to clients such as Mrs. Fields Cookies, Rent-A-Center, Long John Silver's, Visa Brand Fabrics, and other small engagements until his ultimate retirement in 1996. Although he would spend his life advising multinational corporations on global issues, Mr. Goldsmith never lost sight of his roots or his commitment to the Pittsburgh community. Following his retirement, Jack moved on to helping non-profits by serving on the Boards of Bethlehem Haven (a local shelter for homeless women) and Camp Kon-o-Kwee Spencer (YMCA), raising money to build and expand their facilities. Mr. Goldsmith was also a very charitable man in his later years by becoming a notable donor to his supported non-profit organizations as well as his alma mater. He also was a supporter of the United Jewish Federation. Mr. Goldsmith was a long-time member of The Concordia Club and Westmoreland Country Club. Mr. Goldsmith always considered his greatest achievement to be the success of others. He freely shared his wisdom, insight and laughter with everyone and would often refer to the young advertising people he mentored and their children as his "kids." "They don't make businessmen like Jack Goldsmith anymore," said Ned Show, one of Mr. Goldsmith's "kids" who now runs Pittsburgh agency Chemistry Communications. "For all his amazing qualities, the one that stands out the most to me and truly defines his legacy in my mind is loyalty - to his friends, family, business partners, community, school, restaurants, everything." "Jack had an amazing way of making you feel like you were the most important person in his life," said Mr. Gunther, "I can remember being at his 60th birthday party surrounded by 150 people and we all considered him our best friend." "Like anything in life, business is all about people and relationships," Mr. Goldsmith would later reflect. "People have been good to me and I have been good to people." A lifelong bachelor, who often said the reason he never married was because "I would have lasted a morning," Mr. Goldsmith was predeceased by his parents, a sister and a nephew. He is survived by the countless people he touched, the careers he guided and the joy he brought to the world. Services at Rodef Shalom Temple, 4905 Fifth Avenue (at Morewood) on Friday at 10 AM. Visitation at Temple one hour prior to services (9 - 10 AM). Interment West View Cemetery of Rodef Shalom CongregationIn. lieu of flowers, contributions may be made to Bethlehem Haven, Fifth Avenue Commons, 905 Watson Street, Pittsburgh, PA 15219 or YMCA Camp Kon-o-Kwee Spencer, 126 Nagel Road, Fombell, PA 16123. Arrangements entrusted to Ralph Schugar Chapel, Inc. www.schugar.com.